Health in Mind has been awarded £18,000 by Postcode Local Trust, a grant-giving charity funded entirely by players of People’s Postcode Lottery to support and further develop our Midlothian conservation project. Our conservation project works with local volunteers to take part in enhancing outdoor spaces, conservation and protection of local woodlands and walkways and provides outdoor education. 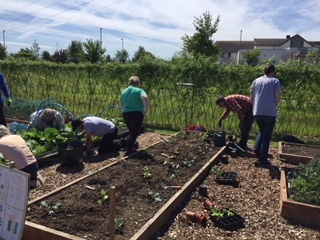 Phil Morris, Senior Project Worker at Health in Mind said “The project was formed by Health in Mind volunteers in 2012 with the aim of improving outdoor spaces for the benefit of local communities. Now, thanks to this funding we are able to broaden our reach and impact by involving more local people and widening the range of conservation activities that we offer. Find further information here or call 0131 663 1616.